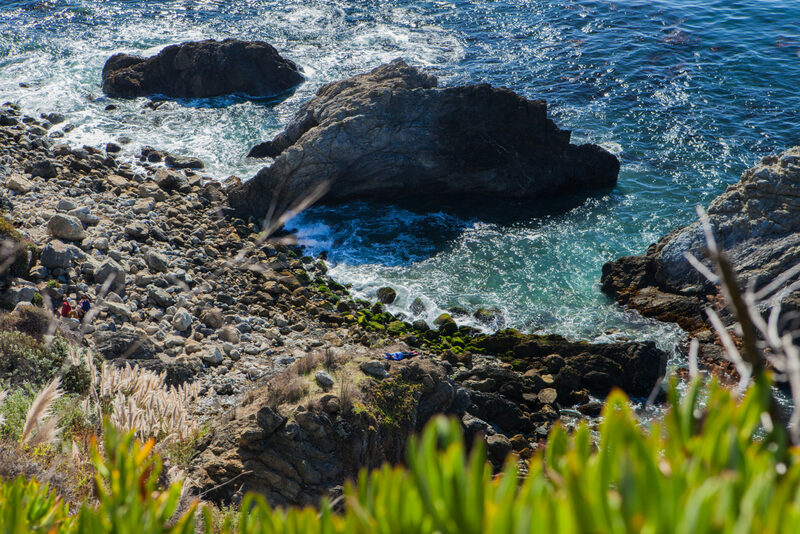 Considering how close I live to Big Sur, I rarely make it out to this gorgeous bit of California coastline. It doesn’t help that most campsites here are booked out months in advance. I got lucky and managed to find an opening at Kirk Creek Campground back in the spring. I grabbed a few friends and drove south for a relaxing weekend. We had no plans on the horizon, except for maybe hiking Cone Peak. 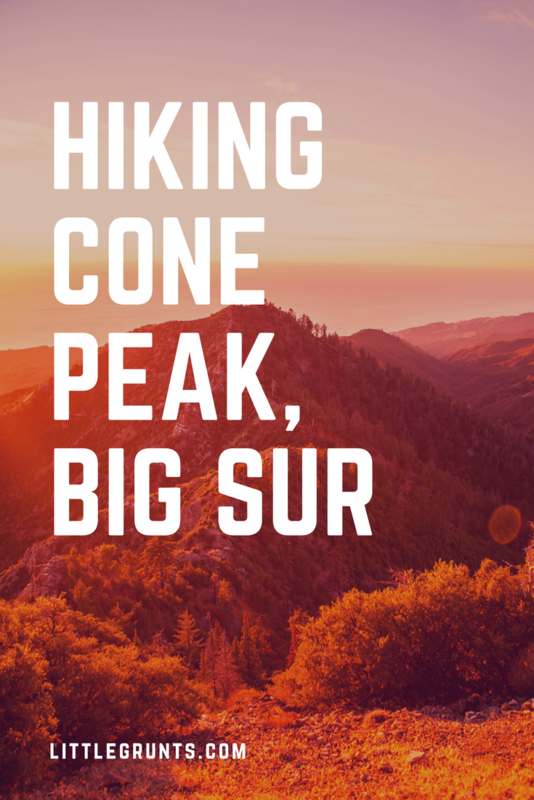 One of my favorite hikes in Big Sur is Cone Peak. 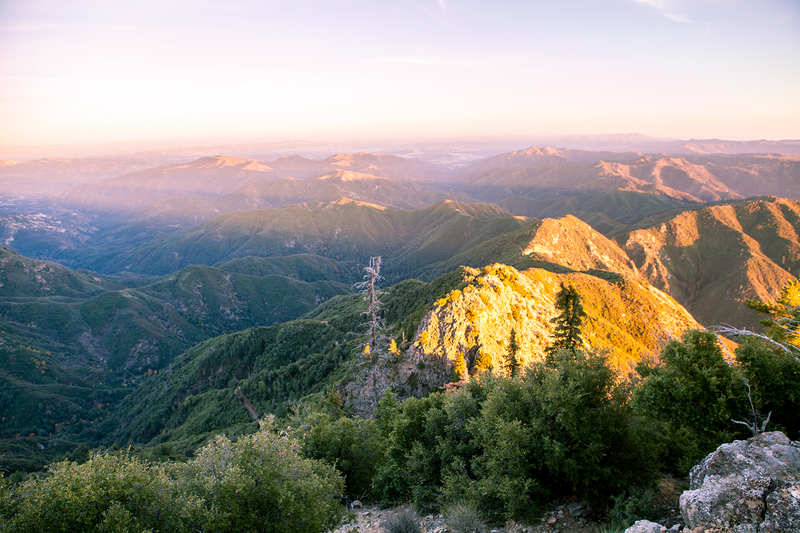 At 5155 feet, it’s the tallest peak in the lower 48 states with a view of the ocean. I’ve backpacked the peak via Vicente Flat from Kirk Creek before. This time, I wasn’t feeling as ambitious. We didn’t get in terribly late the night before, but we didn’t feel like getting an alpine start the next day. 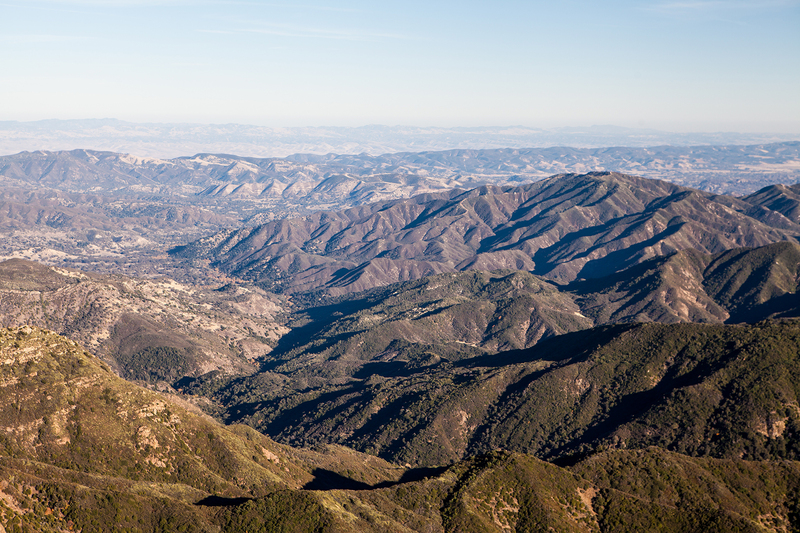 The 11 mile hike in to Cone Peak did not sound fun, and doing 22 miles total sounded even less appealing. Instead, we woke up early and leisurely made breakfast. After breakfast, we lounged around and decided to hike up to Cone Peak for sunset. We left Kirk Creek Campground around 1pm. Instead of the 11 mile hike through Vicente Flat, we were going to drive up the hairpin turns of Nacamiento-Fergusson to Coast Road. Coast Road is oftentimes closed, resulting in an extra 5 mile hike but we lucked out this weekend. Despite rain earlier in the week, Coast Road was open to cars. There were a few holes in the road and small rocks in the way, but it was easy to navigate around. The trailhead was well signed with plenty of parking for 5-6 cars. We got there around 2pm. The trail was in great shape despite all the rain from the the winter. It was a slow and gradual 2.5 miles to the summit. It took us about an hour and a half to get to the fire lookout. 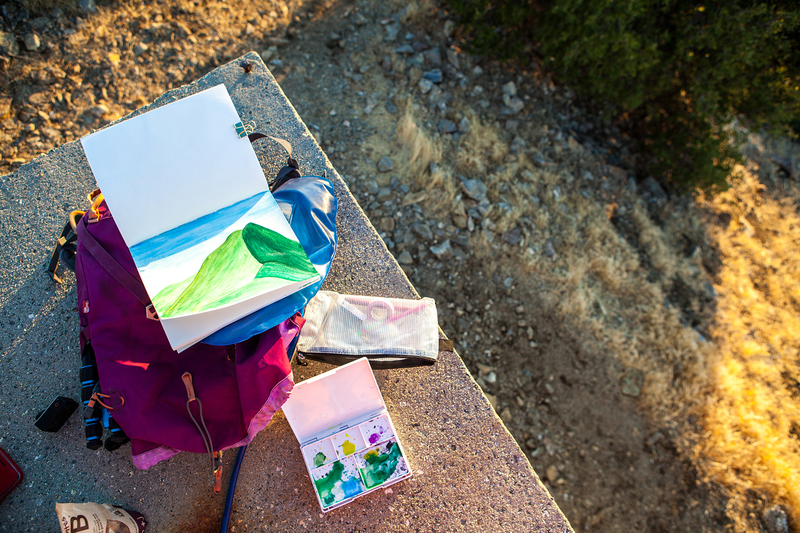 We immediately plopped our butts down to wait for the sunset. We encountered a few groups heading down from the Cone Peak lookout on our way up, and a group up there. Once the sun began to set though, we had the whole lookout to ourselves. It was absolutely stunning. To get back to camp, we retraced our steps down the Cone Peak Trail to Coast Road. There’s no water along the trail or at Kirk Creek Campground. Plan accordingly. Nacamiento-Fergusson Road and Coast Road close due to inclement weather, mud slides, etc. Check before you go. Kirk Creek Campground is reservable year round via recreation.gov. 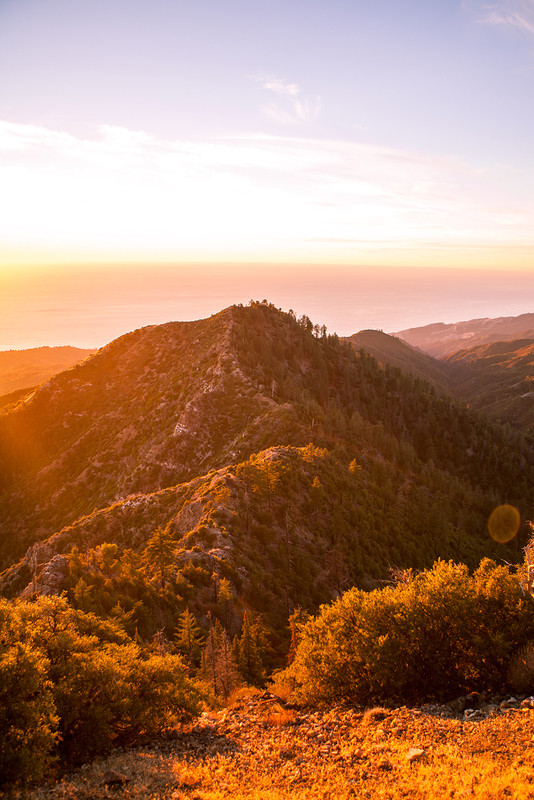 First come, first served hiker sites are also available. Site 001 is right next to Highway 1 and the Nacamiento-Fergusson Road sign. However, Highway 1 to San Luis Obispo is closed, so there’s not much traffic going through. 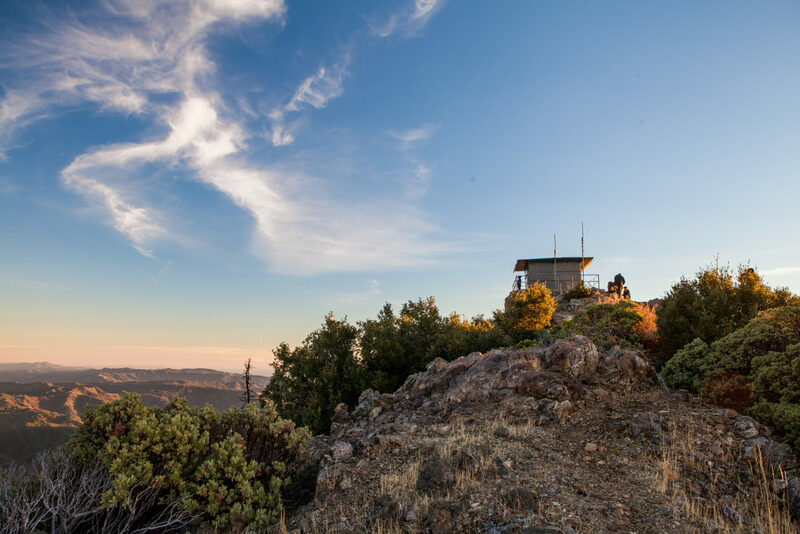 Looking for a fire lookout you can stay in? 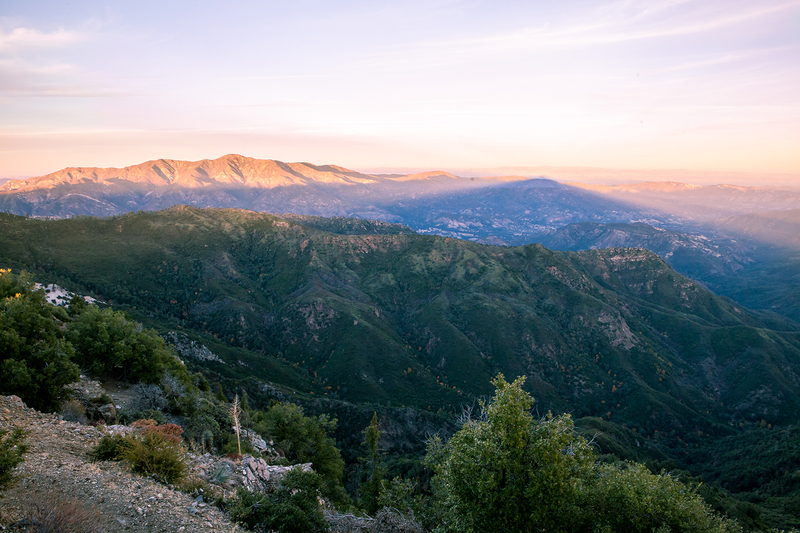 Head to Calpine Fire Lookout in the Sierra.